Navigate to the C:\Program Files (x86)\ (or C:\Program Files\) folder. 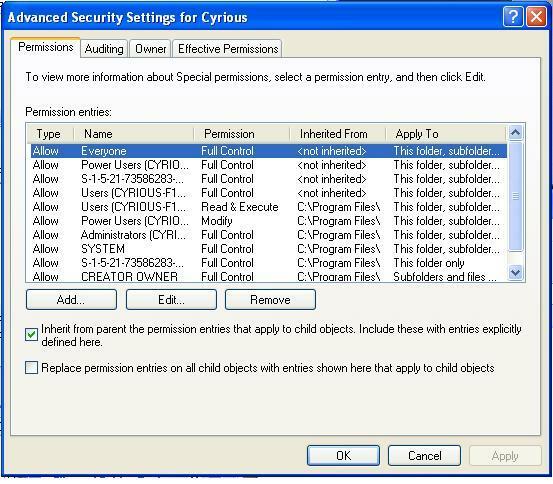 Right click on the Cyrious folder and choose Properties. The file should be shared as Cyrious$. This is usually already done. If not already in the List, add the Everyone user. Set the Everyone user to have Full Control. Click Apply, then click OK to close the sharing folder.